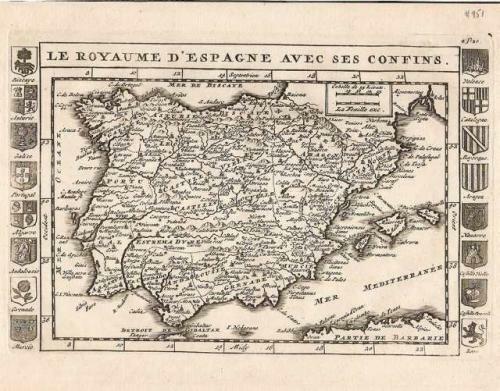 SOLD Le Royaume d'Espagne avec ses confins. A detailed map of the Iberian Peninsula flanked on both sides by sixteen armorial crests of Spanish and Portuguese provinces. Narrow side margins. Plate mark intact. Scarce.